U.S. Senate Resolution 235 designates September 2015 as National Spinal Cord Injury Awareness Month. The resolution states in part, "…every 48 minutes a person will become paralyzed, underscoring the urgent need to develop new neuroprotection, pharmacological, and regeneration treatments to reduce, prevent, and reverse paralysis…". It continues, "…increased education and investment in research are key factors in improving outcomes for victims of spinal cord injuries, improving the quality of life of victims, and ultimately curing paralysis." The Miami Project to Cure Paralysis was a leading force in the creation of this awareness month on a national level. Forty-eight seconds. How long did it take you to read the last paragraph? Over the years, spinal cord injury research has helped treat millions of patients, while helping prevent injuries for millions more through education and awareness. More must be done with the goal of helping those who have been affected to walk again. The designation of National Spinal Cord Injury Awareness Month will build awareness and even more support for The Miami Project to Cure Paralysis and allow the quest for a cure for spinal cord injury to continue. In 1985, Barth A. Green, M.D. and NFL Hall of Fame linebacker Nick Buoniconti helped found The Miami Project to Cure Paralysis after Nick's son, Marc, sustained a spinal cord injury during a college football game. Today, The Miami Project is the world's most comprehensive spinal cord injury (SCI) research center located at the University of Miami Miller School of Medicine. The Miami Project's international team includes more than 300 scientists, researchers, clinicians and support staff who take innovative approaches to the challenges of spinal cord and brain injuries. Established in 1992, The Buoniconti Fund to Cure Paralysis is the non-profit organization that raises funds and awareness for The Miami Project. Volunteers, many that are spinal cord injured or have family members dealing with SCI, work within their communities through Volunteer Chapters to create awareness and raise funds on a grassroots level. This is an unbelievable time for The Buoniconti Fund and The Miami Project's research and for medical history. In late July 2012, the Food and Drug Administration (FDA) gave permission to The Miami Project to Cure Paralysis to begin a revolutionary Phase 1 clinical trial to evaluate the safety of transplanting human Schwann cells in patients with acute (recent) spinal cord injuries. Found mainly in the peripheral nervous system, Schwann cells are essential to sending appropriate electrical signals through the nervous system, and Miami Project scientists and supporters believe they are key to finding cures for paralysis. 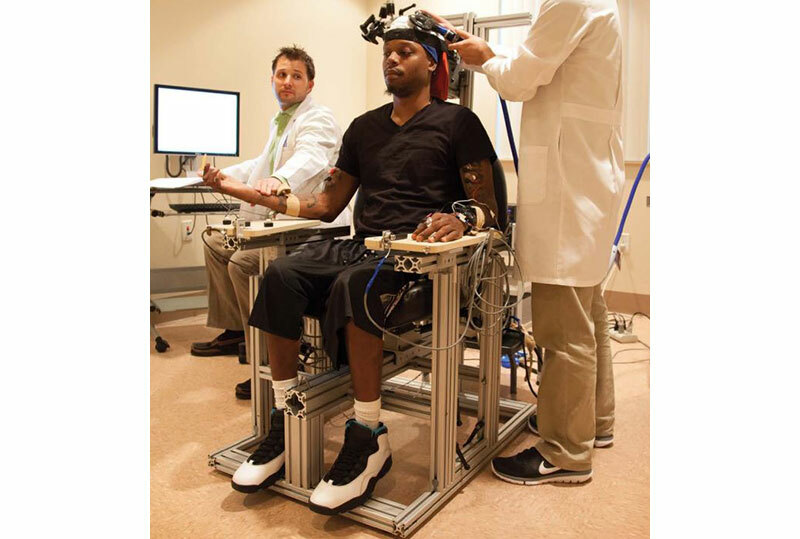 The Project's physicians and researchers have this phase of the trial, part of the Christine E. Lynn Clinical Trials Initiative at The Miami Project. These first participants have done well and the team has received FDA permission to move forward with the clinical trial in chronically injured individuals to test the safety of human Schwann cells and locomotor training. There are millions of people living with chronic spinal cord injury paralysis (those paralyzed for a year or more) that could benefit from this experimental procedure. Never in the history of spinal cord injury research have the prospects of finding a cure for paralysis been better! The Boston Chapter of The Buoniconti Fund began their outreach in 2013, and will host a booth at the upcoming Abilities Expo on September 18-20. The Boston Chapter is also hosting their 2nd annual Comedy Show on Saturday September 19 at Laugh Boston which is next to the Expo convention center. 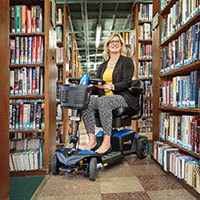 Kristin Wherry is the Director of National Chapters of the Buoniconti Fund to Cure Paralysis. For more information on chapters, you can reach her at (305) 243-3863. I Am 'Disabled!' I Am Lucky!